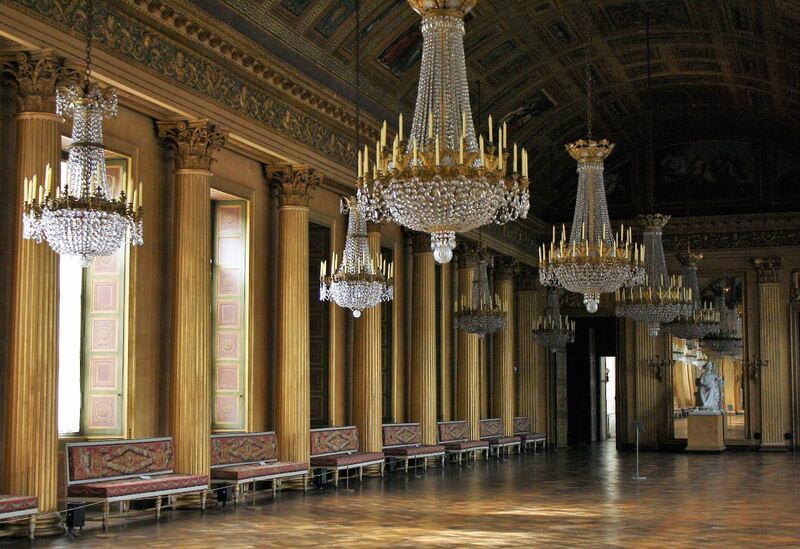 But what did the restless French emperor do with another palace? Well, he lived there with his young bride, Marie-Louise, and it was there where they spent their first night together. Napoleon had spared neither expense nor effort to impress Marie-Louise, to offer her an elegant new home, and to highlight her duty by selecting works of art featuring themes of love and fecundity. Napoleon had these works of art brought in from the Louvre. Follow me on a picture tour! 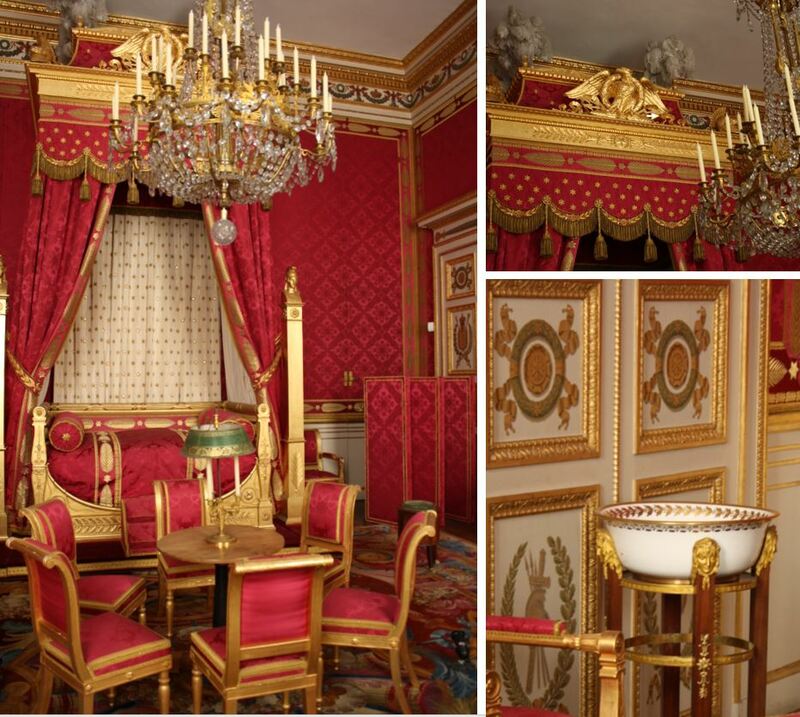 The Château de Compiègne is mainly decorated in the style of the First French Empire (1808-1810), and it is said that it “speaks of Napoleon as Versailles does of Louis XIV”. 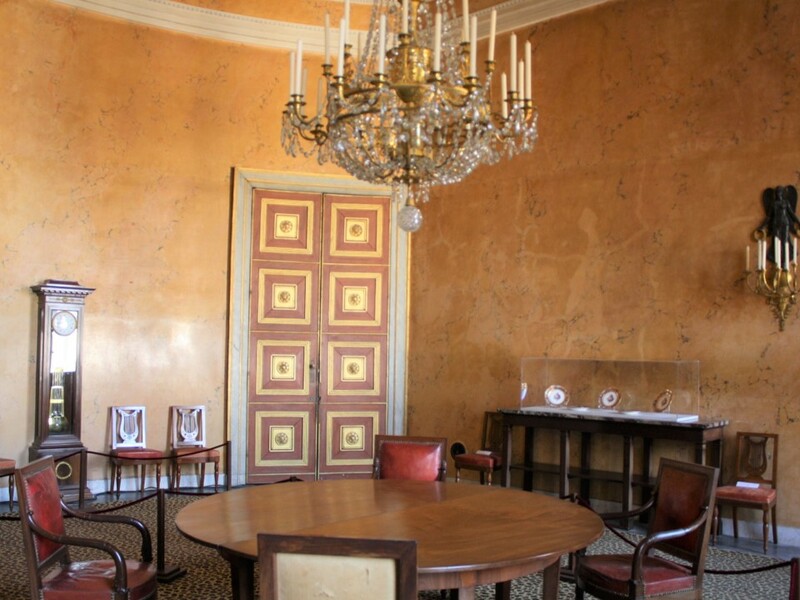 This is the room in which Marie-Louise took her first meal with Napoleon on March 27, 1810. It was a private dinner, but not at dinner for two. Napoleon’s sister Caroline was also present. 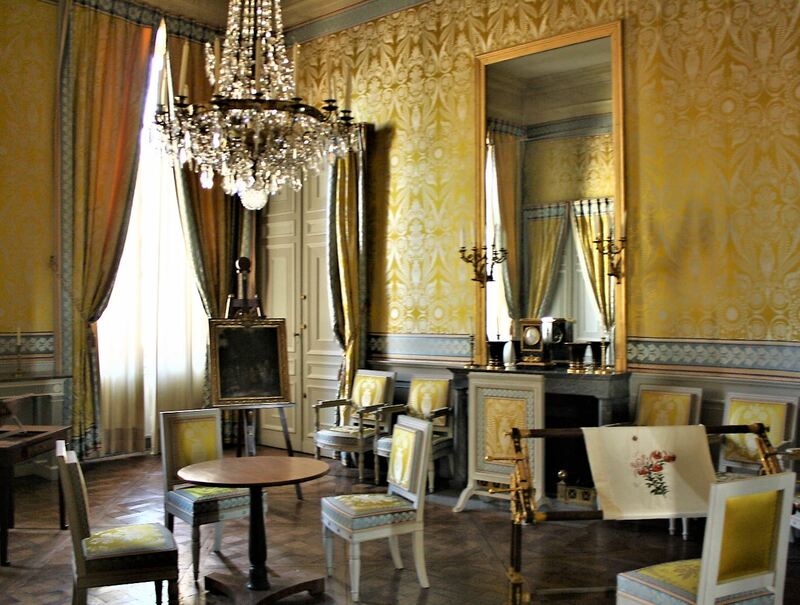 The room served as a games room for Marie-Louise and her guests or ladies-in-waiting . Today, it is still furnished with a backgammon table, two quadrille tables, and a bouillotte table. 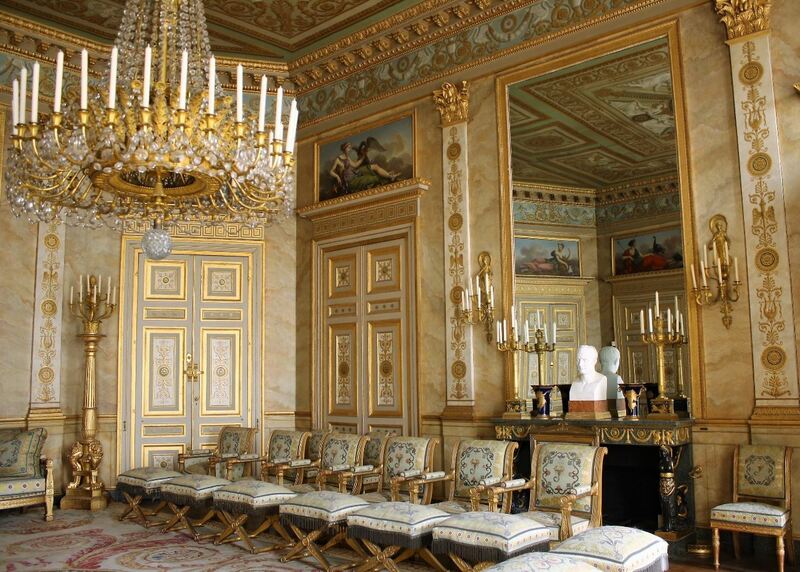 This room was decorated and furnished in 1809. The painting of the gods Minerva, Juno, Flora and Ceres celebrate feminine virtues. 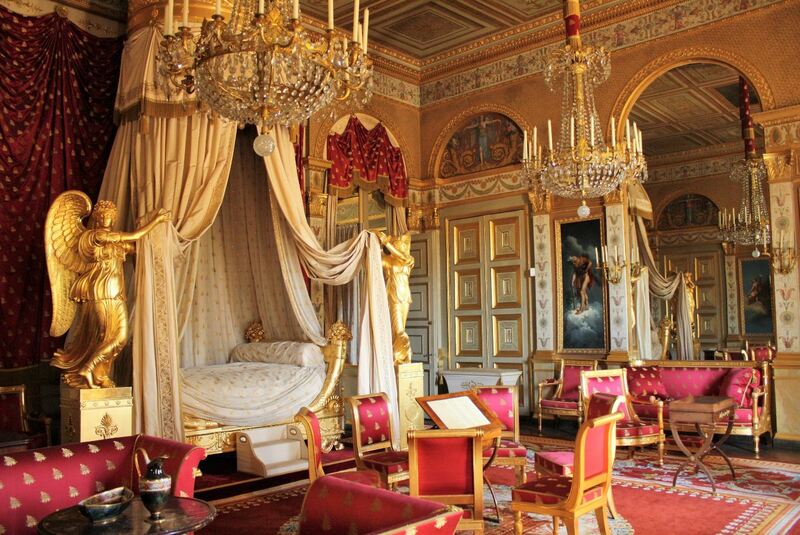 The Empress’ Bedroom just as it would have looked in 1810. The entire decorative scheme focuses on the theme of abundance and fertility. 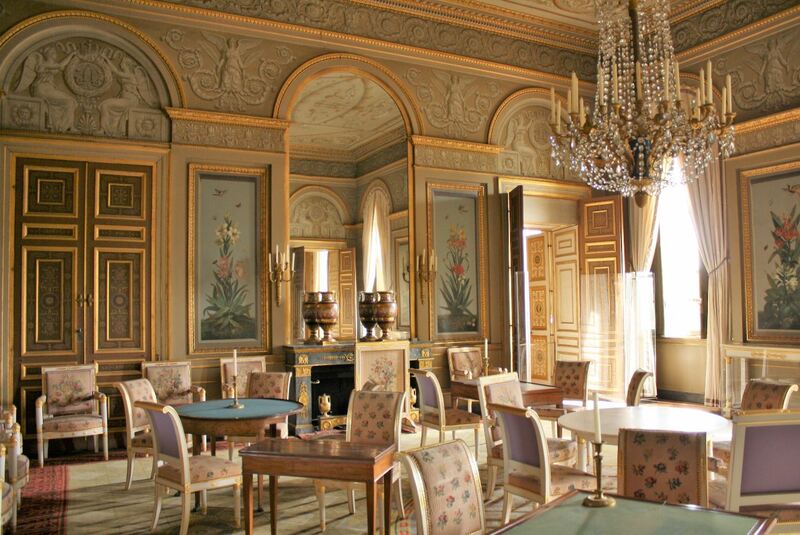 Situated between the Emperor’s library and the Empress’ Tea Room, the Breakfast Room was more intimate and private. Here, Marie-Louise was served her first meal of the day. 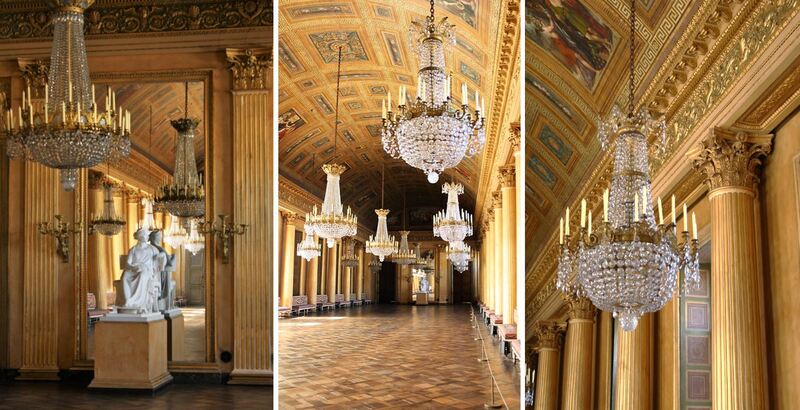 The 45 meter long ballroom was added to the chateau by Napoleon. 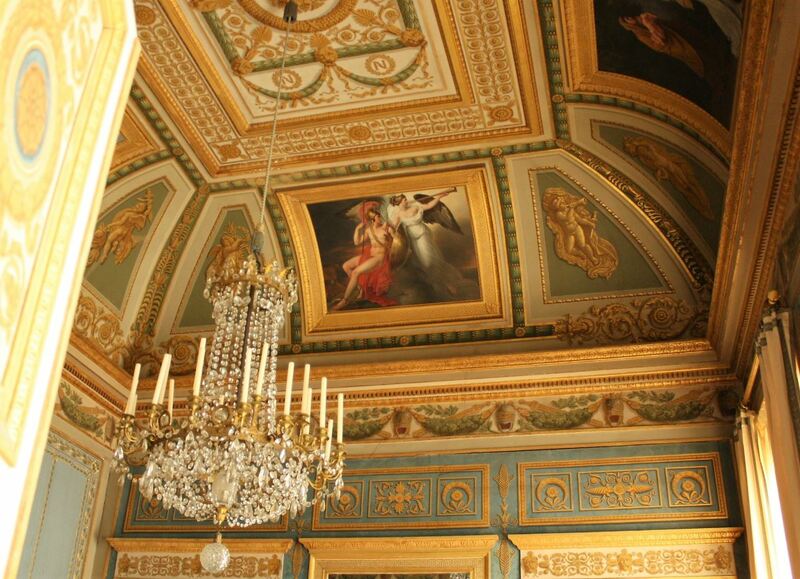 The ceiling is decorated with images of gods and heroes of ancient Greece and Rome, and inscriptions of Napoleon’s victories in war. The wall paper features oak-leaves, stars and bees, and has a brocade border composed of palms and stars. The canopy of the bed is surmounted by an eagle. Thank you for touring the palace with me! 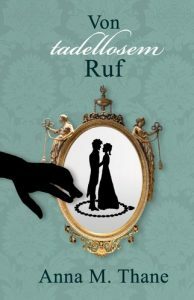 For a detailed account of Napoleon’s and Marie-Louise’s wedding, I recommend the brilliant article “The Marriage of Napoleon and Marie Louise“ by Shannon Selin. This entry was posted in A Writer's Travel Guide, Blog. Bookmark the permalink.